Welcome to the October Newsletter. We have news of some new events coming up, including one which will be attended by Choje Lama Yeshe Losal Rinpoche in November. Please make a note of it now rather than waiting for the new printed programme to come out, because there won't be one! Course Programme - we have decided not to have a printed course programme when the current one expires at the end of October. Instead people should rely on this newsletter, where there will be regular updates, and on our website. The planning application for the development at 11-13 Spa Road has now been validated and the three-week consultation period started Monday25/09. We are having a public meeting for local residents and friends of Samye Dzong where we will provide you with relevant information to be able to make a viable objection that carries weight with the planning officers. The meeting will be on Wednesday 4th Oct at 7pm. If you live locally and are a user of Samye Dzong London, feel free to come along. Winter Retreat - From 28 Dec till 2 Jan 2018 Lama Zangmo will lead a residential meditation retreat at KSD London. The retreat will be in silence and is not suitable for beginners. The number of participants is limited and the accommodation is mainly dormitories. More information will go on the website soon. 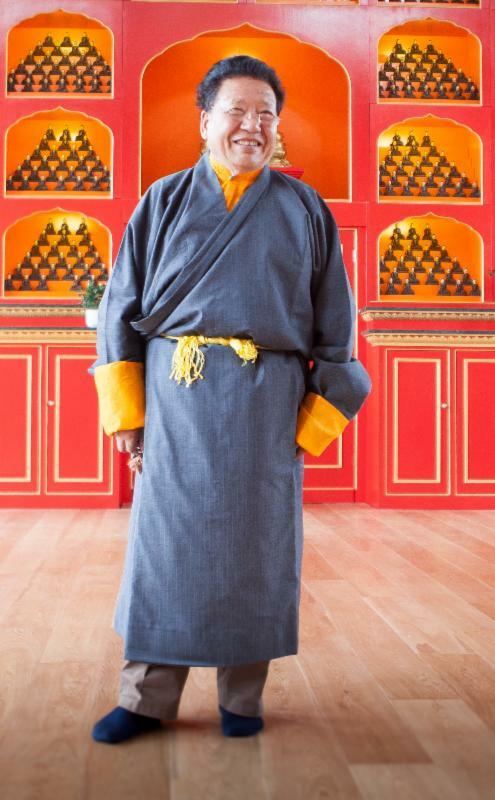 The vision of Akong Tulku Rinpoche: a cinematic slideshow of the construction of Kagyu Samye Ling, attended by Choje Lama Yeshe Losal Rinpoche in KSD London on Saturday 11th November, 7.00 - 8.30 pm. Verses from The Precious Garland of the Sublime Path with Lama Zangmo runs for five Thursday evenings from 2nd - 30th November, 7.00 - 8.30 pm. Lhabab Duchen - this Buddhist festival celebrates the Buddha's descent from the Tushita heaven. Join the Kagyu Samye Dzong Sangha for the recitation of prayers on Friday 10th November, 7.00 - 8.30 pm. Join us on Sunday 8th October, 7.00 - 9.00 pm, for an evening of prayers dedicated to the swift return of our precious Founder Choje Akong Tulku Rinpoche..
We will recite aspiration prayers, dedications and readings from the beautiful book "Mala of Memories" which is a compilation of writings by Akong Rinpoche's devotees and moving letters of commemoration from some of the great Masters around the world. There will also be readings from some of the teachings Rinpoche gave in Samye Dzong London over the years. 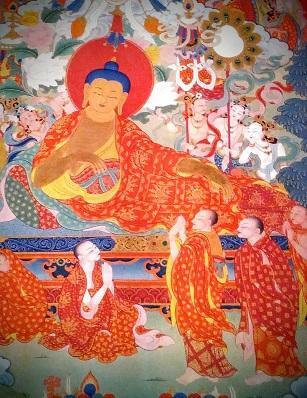 At the end everyone will go up to offer a katta in front of Rinpoche's picture. Please bring along a katta (white scarf). Everybody is invited to bring food to share after the prayers. Join us on Saturday 28th October for our fourth annual Death & Dying Day: A Celebration of Life Through Reflection on Death'. Our previous events were a huge success and we would like to welcome you all again this year. The event is an opportunity to explore and reflect on death and dying through a number of talks and workshops hosted by a variety of speakers. We have a pretty full schedule for the day which covers a wide range of topics: from the process of death and dying; wills; hospice care; funerals; an all-day coffin exhibition; two Death Cafes...and more. If you'd like to get a flavour of previous days, there's the video above and you can also listen to the talks recorded in 2016 which can be streamed or downloaded from the website. Embracing Death and Dying: a celebration of life through reflection on death. Saturday 28th October, 10.00 - 5.00. The full schedule for the day can be found on the website. In a 4 week course starting on Thursday 5th October, Lama Zangmo will be explaining the famous prayer called the Dorje Chang Tungma which is chanted regularly before the Shinay meditation sessions here at Kagyu Samye Dzong London. 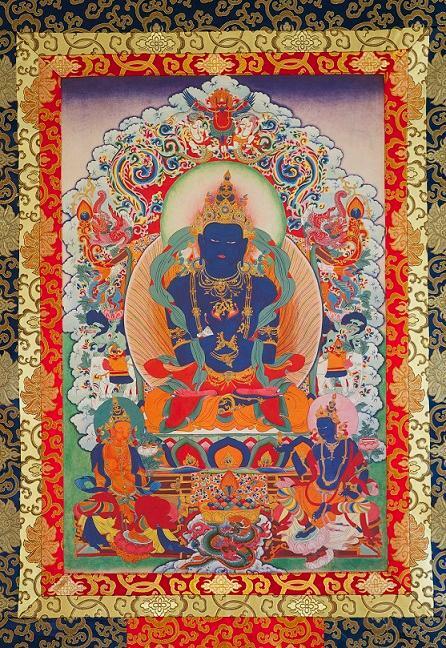 This prayer is a teaching that deals with the power of supplicating the Lineage Masters and how one relies upon the Lineage that comes from Vajradhara down to one's own Root Lama. The text presents the entire path of practice. It shows how someone at the beginning should practice, how they practice next, and what benefit will be achieved. In this way, the entire path of Mahamudra and its practices are explained in this short text. Lama Zangmo will pay particular attention to the verses that deal with Renunciation, Devotion and Meditation. "Renunciation, devotion and meditation" with Lama Zangmo runs from Thursday 5th - 26th October, 7.00-8.30 pm. You can book your place using the Donate button at the bottom of the course page on our website, where you can also read more about the course. Most people want a peaceful happy life. These three principles help to make it happen. Simple, practical purification meditations will be shared and explained. These will help us purify our streams of consciousness so that we are less agitated and more capable of enjoying our lives. To let go does not mean, "I get rid of." It is much more subtle. To let go means to be able to let be with wisdom and kindness, allowing new things to arise. If we leave our thoughts alone, to some degree, they will leave us alone. Of course, this is "context specific." Letting go is not so wise for mountain climbers. This weekend will also introduce the ideas of deep-rooted acceptance that is necessary because of our tendency to resist pain that causes us so much intense suffering. Life is hard, to be human is very difficult but we can train the mind to face and cope with whatever arises. The essence is what attitude we hold to whatever "weather" is going on either outside or within us. That essence is kindness. 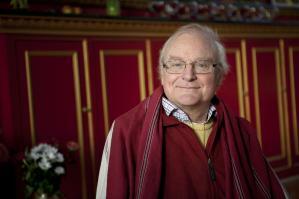 "Acceptance, purification and letting go" with Clive Holmes takes place on 4th-5th November, 10.00 - 4.00. You can book your place now by clicking on the Donate button at the bottom of the course page on the website. The Vision of Akong Tulku Rinpoche - A Cinematic Slideshow of the Construction of Kagyu Samye Ling, with our Abbot, Choje Lama Yeshe Rinpoche, attending the evening.